Call 856-291-0102 to schedule your first appointment. Hearing loss can be a serious problem, but you can address the problem in Moorestown, NJ, with hearing aids. When you want a more natural listening experience, consider Miracle-Ear®, America's most recognized brand of hearing aids. While we cannot stop the progression of hearing loss, we can provide you with state-of-the-art hearing aids for mild to severe hearing loss. With our help, you can engage in active conversations again and “participate” in your favorite social events. As part of your free hearing test,* we’ll take the time to discuss your concerns and goals. Some people have mild hearing loss and want a discreet hearing aid that won’t be noticeable. Others may work in a noisy environment and need advanced hearing protection along with the ability to hear more clearly. Busy professionals may be focused on finding a hearing solution that can work with their smartphones. Regardless of your concerns and needs, we have a hearing aid that will work. We carry hearing aids featuring GENIUS™ Technology for the best binaural listening experience available. The progression of hearing loss can be devastating, but it doesn’t have to be. Our hearing center will assess your situation and help you choose a hearing aid that perfectly suits your needs. We’ve worked with people throughout Moorestown, and Maple Shade. We stand behind our products with a three-year warranty,** and we offer annual inspections to keep them working properly. Call Miracle-Ear today for a convenient appointment time. I have worked with Miracle-Ear for over 28 years. My favorite part of working for Miracle-Ear is helping people with hearing difficulties realize there is help. 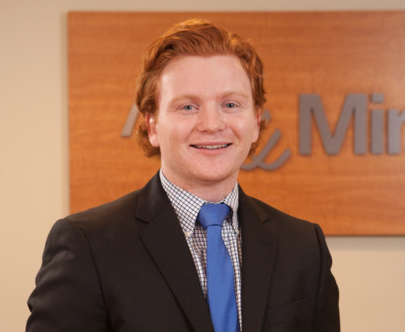 Luke joined the the Miracle-Ear family in 2018 and is a newly licensed hearing aid specialist. Luke's favorite part of working at Miracle-Ear is being able to meet all different people and being able to help them hear again.